As a designer I’m interested in solving problems as artistically as I can, but always with the client’s goals and objectives driving the creative process. As a visual artist I’m interested in how design intersects with, and influences, my own personal artistic vision. Occasionally you get a project that marries both the designer and artist inside of you, and this was one of those. 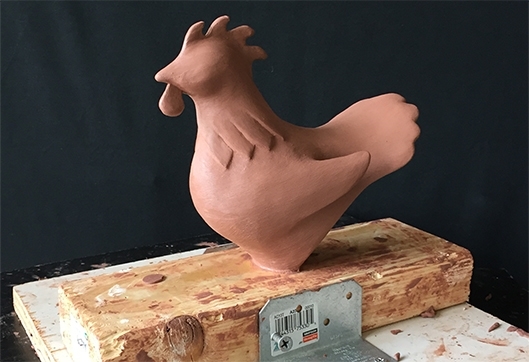 This past summer, Vehr Communications of Cincinnati, Ohio contacted me about creating a sculpture for one of their clients, Henny Penny. A manufacturer of high quality cooking and food preparation equipment, Henny Penny recently adopted “Henny the hen” into their brand language. 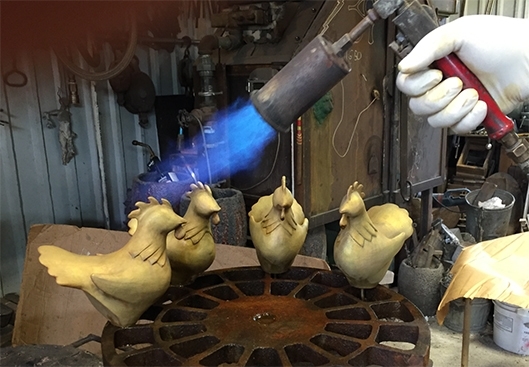 They wanted to create a unique and “desk worthy” sculpture that symbolically captured the essence of the hen. 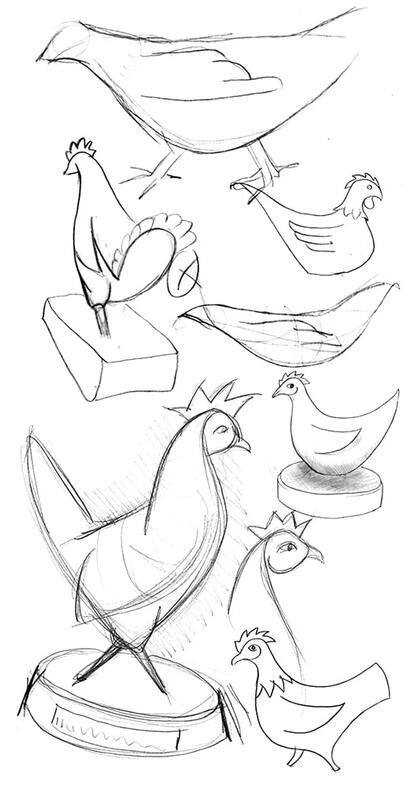 My goal was to create the forms, shapes, and personality in a reductionist style clearly communicating “this is a hen” in a unique and artful way. In a way, it was like a three-dimensional logo project–a perfect marriage of art and design. 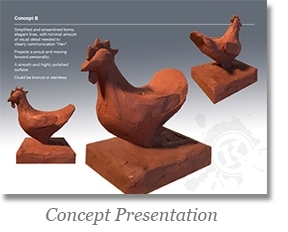 The process included a series of conceptual “sketches,” including several clay models (click on image to the left to see the presentation). 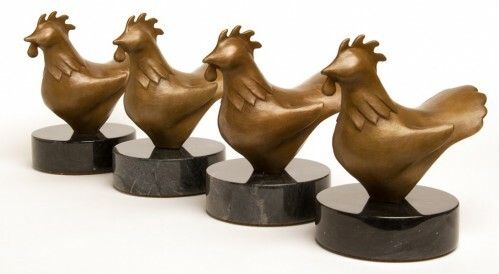 I then sculpted the selected direction in clay and cast it in bronze using the traditional lost wax process. The initial edition of five bronzes was delivered in October 2015. Henny Penny plans to give them to their most valued customers–CEOs of some of the most successful restaurant chains in the world–as a gesture of gratitude for their loyalty.